Get your Aircon Serviced in 24 hrs! 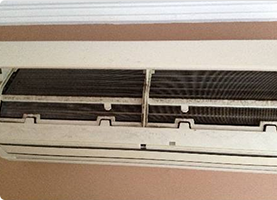 Your air conditioner's fan blower is responsible for the flow of cool air while the water tray gathers condensation. If both are left uncleaned and unchecked, they can be harmful, produce germs, and affect the air quality. Our chemical wash service includes disinfection and chemical wash to ensure your environment and family is free from germs. There are parts in your air conditioning system that cannot be cleaned easily, hence waste water and substances are accumulated in those smaller components. Our chemical wash service includes full interior chemical spray cleaning and liquid vacuuming to make your aircon spick and span! A clean and effective drainage system is essential in keeping your air conditioner functioning. Clogged drainage may result to algae growth and toxics that can extremely damage your aircon and health. Through our chemical wash package, we assure that your drainage system is free from blockages and clogs. Oasis always strive to provide our clients with the best experience, most reliable and guaranteed air conditioner servicing in the market. 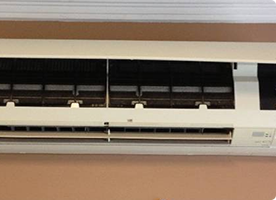 By bringing you technicians who have undergone decades of repairing and diagnosing of multiple kinds and brands of aircons from portable to inverters, and Daikin to Panasonic, rest assured that any issues with your unit is solved. Under different situations or whether your aircon is not cold, or leaking, and regardless of where you are from Ang Mo Kio to Tuas, we will be there for you! Oasis Aircon Services company is well aware of the possible dangers and risks of mechanical maintenance, and the safety of our members and our clients is also our top priority. Whenever accidents happen, public liability insurance and workman injury compensation insurance by Tokio Marine are all provided to our customers and crew members. Our goal is to be the gold-standard for aircon servicing industry. Aside from providing you reliable ac service and safety, we are also committed in bringing you excellence through our 30-day workmanship warranty for all our aircon services in Singapore. Further issues such as compressor problem or coil breaking to mention a few could happen again due to our servicing. Our follow-up services and warranty will alleviate these issues, and ensure that no job is left unfinished. Oasis has been my office's trusted aircon partner for over 3 years. They're reliable and efficient, and my aircon has never given me problems! I trust them to continue maintaining my aircons in pristine condition. My aircon was blowing out hot air, and my family was worried we had to sleep without aircon! Good thing Oasis fixed our aircon on the same day, and now the air is crisp and cool. I'll definitely call them again! My parents' apartment has 5 aircons that haven't been cleaned in years, and the rooms smell all musty! After a service by Oasis, the air is again fresh, and the aircons are cooler than ever before, even good as new!